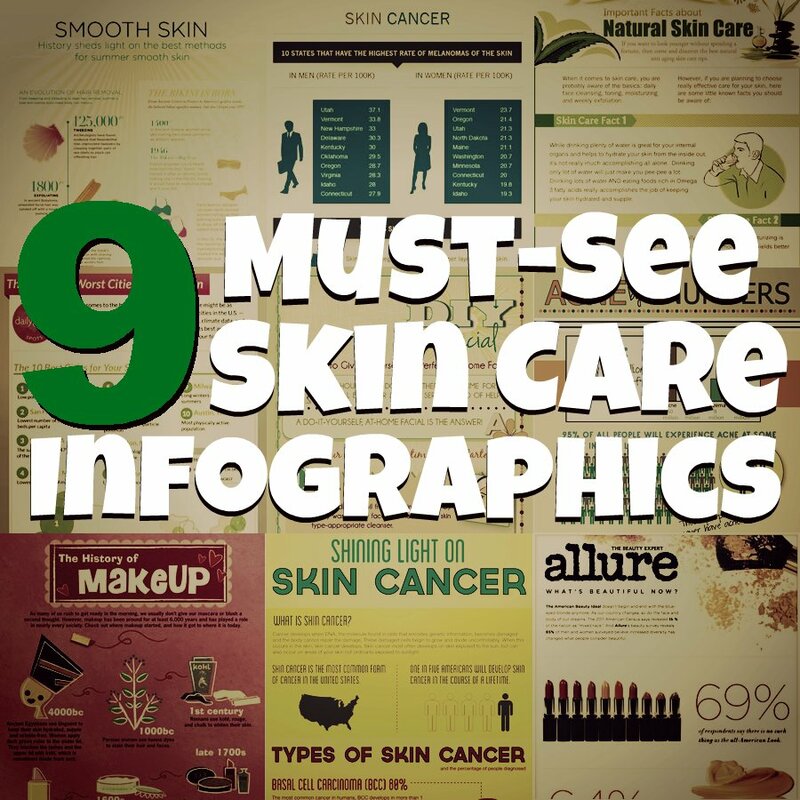 SKIN-fographics: 9 Must-See Skin Care Infographics! 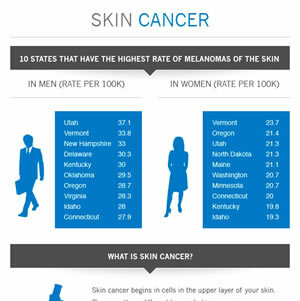 Did you know that men in Utah have the highest rates of skin cancer? Or that women in the 6th century wanted pale skin so badly that they bled themselves white? There’s so much to know about skin care, beauty and the health of the skin. Check out this collection of amazing infographics and learn something new! 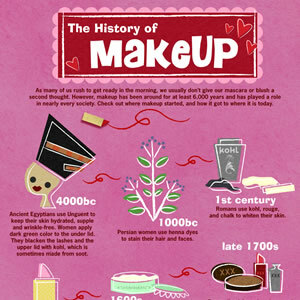 This History of Makeup Infographic helps us pay homage to all of the women (and men) who suffered from some scary consequences—even death—all for the love of makeup! The times are always a-changing. See just how drastically ideas about beauty have changed in recent years. 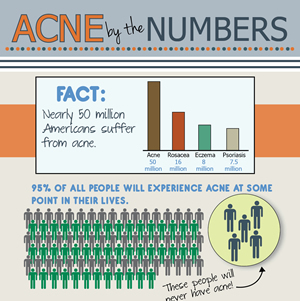 How much do you really know about acne? After all, you can’t conquer a problem until you truly understand it. 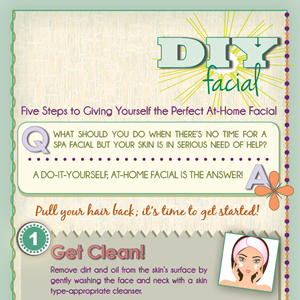 Join us on an Infographic journey to clearer skin! 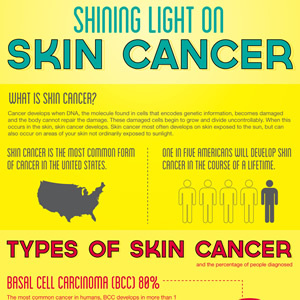 One person dies of melanoma every hour—and yet we can take simple steps to protect our skin, our lives and our youthful appearances! Not scared straight yet? Check out this infographic! Did you know that women will spend an estimated $10,207 on shaving over the course of a lifetime? 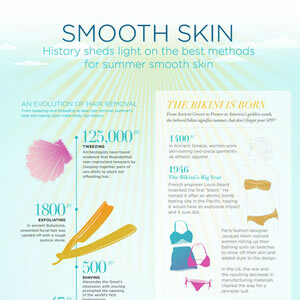 Check out this and other fascinating hair-removal facts! Why do we love this infographic? We believe that knowledge is power—the more you know, the better you look! Where you live may have a bigger effect on your skin than you ever imagined. 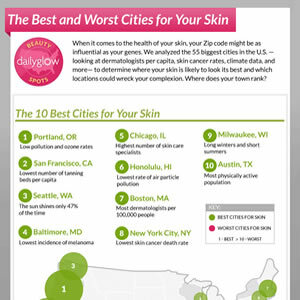 Find your city and see what kind of danger your skin might be in! Ready to be enlightened? Reusethisbag.com presents both sides—the dangers and benefits of the sun! Think you need to visit a spa to get a great facial? Here’s an insider secret, straight from a skin care expert—you can achieve the same results at home with a Do-It-Yourself Facial! 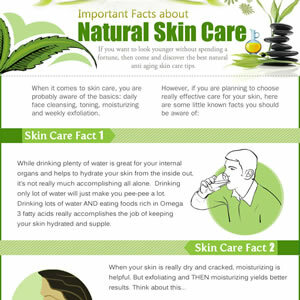 Which skin care infographic is your favorite? Are there any awesome beauty infographics we missed? Thank you so much for all the helpful information. If you have a newsletter please add me to your list. Pingback: How to Make an Infographic, the Easy and Cheap Way | iBlogalicious!